Diners have become extremely dependent on technology to research restaurants, book reservations and order online. 87% of consumers use the Internet to discover new restaurants, presenting restaurateurs a free and easy channel for attracting new diners. This also presents a time-consuming task of understanding consumer behavior; where, what, and how diners search for restaurants online. SinglePlatform provides diners with the information they’re looking for when they’re making a reservation online. By understanding what information matters most to diners in their online quest for a new restaurant, you maximize your business’s potential for getting more customers through the door and increasing revenue. 86% of consumers check out a menu online before visiting a restaurant in person. An accurate, updated, and easily accessible online menu gives customers the information they’re looking for with the click of a button. It also guarantees diners that their expectations will be met. 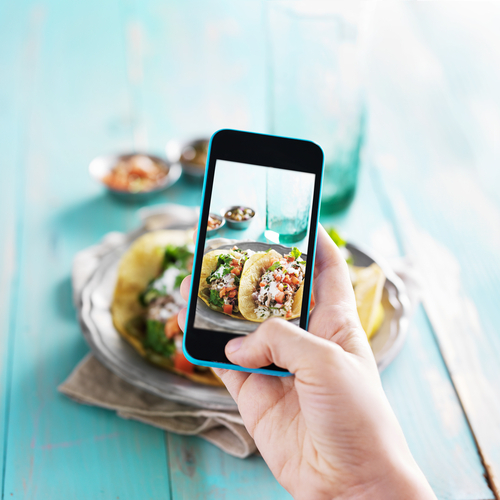 Almost 60% of diners look for pictures of a restaurant and the dishes served when making a decision. Hiring a professional to snap a few pictures of the interior and dishes served goes a long way with diners. Whether it’s weekly happy hour or a discounted rate for a holiday, half of diners rely on the web to research restaurant deals and offers. By updating your restaurant’s presence, and announcing deals and specials as they happen, you open the door (literally) for new customers to join you for their next meal. The bottom line is, diners operate in a digital sphere, basing dining decisions off content found online. Check out OpenTable’s Technology And Dining Out report here. Learn more about how SinglePlatform can help you get discovered everywhere that matters online.